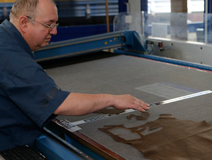 The most important material in the manufacturing of footwear, leather, is made stable and long-lasting by tanning. 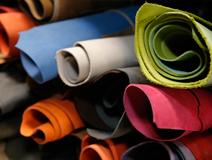 Leather is very durable and abrasion resistant, while also being flexible, somewhat elastic, and able to maintain its shape despite bending and flexing. Plus, depending on its treatment, it can absorb varying amounts of water vapour. In addition, it can be made waterproof during the tanning process through a special impregnation, the so-called hydrophobic treatment. 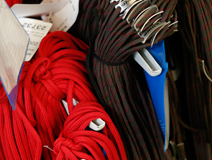 The tanning agents are bonded firmly to the fibres of our high-quality leathers. Our tanneries produce their leathers as environmentally responsibly as possible, and each runs its own wastewater treatment plants. LOWA uses only specially selected cow hides from Europe. These are of course free of pollutants. Smooth leather – Upper layers of the hide, not as scratch resistant. Nubuck leather – Upper layers of the hide, lightly brushed, moderately scratch resistant and stable, ideal for trekking boots. Suede leather or split leather – Middle layers of the hide, visible grain, very durable, limited stretch and less resistant to tears. “Roughout” (“Hunting”) leather – Very durable surface with a stable backside, optimal for Alpine boots. Cowhides in a unfinished state are approximately 6 to 8 mm thick and must therefore be split. During the tanning process it’s decided where the splitting will occur – whether it will be a thicker full-grain leather and a thinner split-leather or vice-versa. 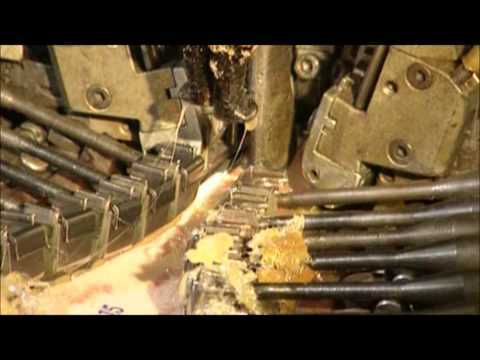 Very similar to what happens in baking biscuits, a press – hydraulic in this case – punches a pattern-cutter through the leather. A pattern-cutter is necessary for every piece of the footwear, and of course also for each piece for each shoe and boot size. What’s vital to the quality of the footwear is where the pattern-cutter is placed on the varying leather types based on their structure and flexibility. 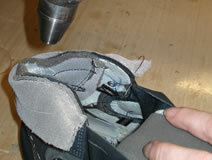 After the leather pieces are punched out, they must be precisely sewn together with robust sewing machines. 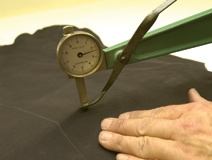 The seams of a GORE-TEX® lining must also be taped tightly shut after the pieces are sewn together. At LOWA, an exclusive spray-on gluing process guarantees that the material’s pores for transporting moisture out of the footwear remain open. 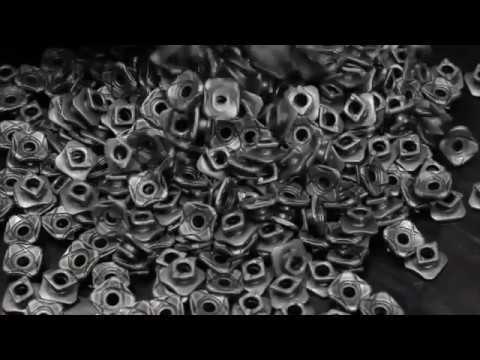 Fixing the various metal eyelets and hooks is done with a specialised riveting machine. A last is what one calls the foot-shaped forms made of wood or plastic on which a shoe is made. 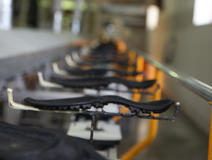 The shoe (or the uppers) are literally shaped over the last in order to achieve the use- or company-specific features in the shoe or boot that are hallmarks of the fit and feel. For every type of footwear there is a special last that is designed for specific demands and expectations. Women’s footwear styles of course have their own special LOWA lasts. Shaping the uppers (the top part of the shoe or boot) is the difficult process of forming the shape of the leather and then attaching it to the last. 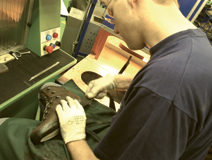 These days, heavy, computerised machinery guides the process of drawing the leather upper over the last until it is firmly and properly positioned. Then the lasting machine’s pincers pull the bottom edge of the upper fully underneath the form, allowing the upper to be fastened using cement or tacks on an insole that’s been placed on the last. The outsole will be attached later to this same insole – no matter whether its intended shoe or boot is meant to be flexible or stiff. A typical quality hallmark of LOWA is the rubber protective edging, or “rand”, that is mounted separately. This rubber strip that runs around the footwear protects the leather from moisture and damage. LOWA almost exclusively uses rubber soles which are usually equipped with a cushioning midsole of polyurethane (PU) foam. Not only the underside of the shaped and cemented upper, but also the sole must be extensively pretreated before they can be cemented together with a pneumatic press. Immediately after attachment, the bonds are cured in a cooling chamber. 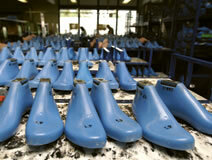 The last, which has given shape to the product during production, is then pulled out of the finished footwear. Until several years ago, this difficult task was still done by hand. Today, heavy-duty machinery completes the job. During the final quality control, all footwear gets a finishing touch. 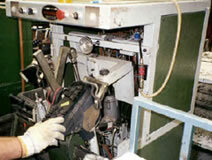 Then laces are thread, footbeds inserted, and product tags attached before the footwear is packed in a box. Footwear is stored in the LOWA warehouse and sent to customers from there.